I designed and animated the logo for Creative Genius, a video production company based in Newcastle. Using colours that people react well to we developed a simple yet iconic logo that is easy to recognise. By playing with the C and G of Creatie Genius I was able to create a typographic logo that was inspired by the megacorporation Omni Consumer Products (OCP) from the film Robocop. 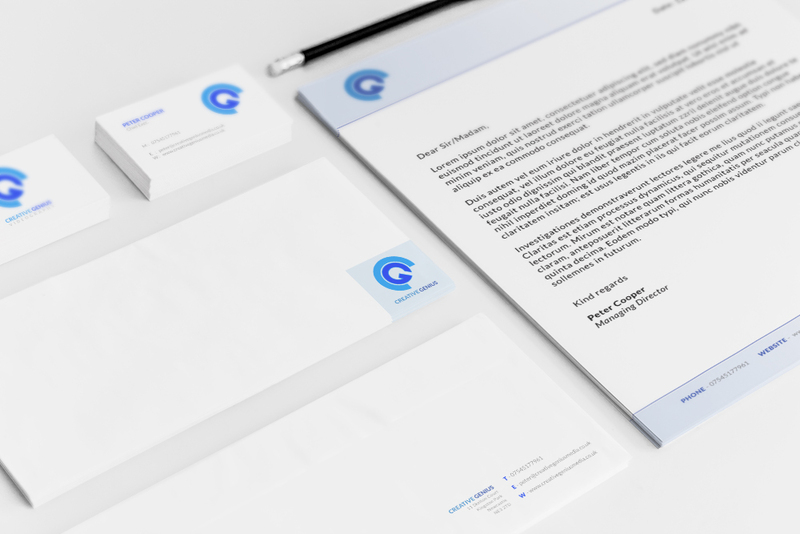 With the logo signed off and approved by the client I moved onto creating a number of stationary elements including business cards, letterheads, invoice templates and comp slips. I designed the templates so that they are simple to edit and update making them easy to use. The Blue Tokay film was filmed and edited by Creative Genius. With my skills in motion design I was employed to create the opening animation screens and end plate. I was supplied with the logo assets which I used as the core elements of the animation. I also added custom graphics including swaying grass and moving clouds to add depth and detail to the animation. The final touch was to animate some kinetic text. NERG 2016 was another video that was filmed and edited by Creative Genius. I was again employed to create a custom animated intro screen. I took the NERG logo which has a retro game design and animated it in the style of Space Invaders, a classic arcade game. I filmed and edited a behind the scenes video for Peter from Creative Genius as part of his online marketing campaign, specifically to be used on social media. It features Peter’s photo shoot at a local studio in Leeds where Big Blue Whale were shooting and editing stills for him. Peter Cooper – Chief Exec.